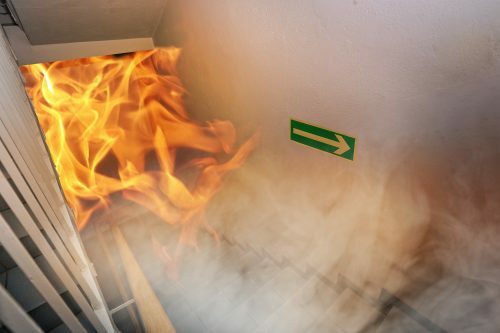 GUK's fire consultancy can ensure your premises are safe and comply with current legislation. Demonstrating compliance is a critical element of property management and fire drills are a crucial part of what is required. We understand that they are sometimes seen as an inconvenience so endeavour to minimise disruption whilst maximising benefit. All our fire consultants are either ex or serving fire officers, holding the rank of at least a watch manager. Consultants have over 24 years experience in domestic, military and aviation sites. Train your staff and tenants on the correct evacuation procedures, giving them the correct tools and confidence to keep staff safe. To ensure your tenants and staff know the correct evacuation procedure. All fire exit routes will be checked and comply with legislation. A full written report will be provided. To train staff in the correct and safe procedures on searching for an activated device. Auditing your current fire procedures, building inspection on signage and all current paper work already in place. Inspections of all fire doors within the premises are up to correct standards and fire door regulations in accordance with legislation. We provide a professional and personal service, specific to your company, building, tenants and staffs requirements.